​​Whether you are interested in dressmaking, prefer sewing for the home (or are looking forward to adding to your bag collection!) you have come to the right place. Louise offers courses and one day workshops in a variety of practical and creative sewing subjects. For many, the popular 'Sewing for Beginners' course is the start of a wonderful and rewarding creative journey - gaining confidence in your new skills in a friendly and sociable atmosphere. For others, Louise's courses provide the ideal opportunity to develop their skills or expand into new areas - perhaps Freestyle Machine Embroidery or making cushions. 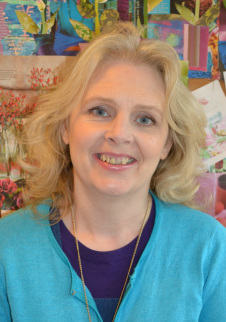 Louise specialises in small classes so that all students - including the absolute beginner - can benefit from this experienced and patient tutor, gaining plenty of one-to-one teaching. Start a new fun hobby? Have you thought about joining our Sewing & Dressmaking Clubs? £15 per session. Can you already use a sewing machine but would like to tackle your own projects or expand your knowledge? Small classes with me on hand to help out or provide instructions and patterns. ​New sewing machine? Want to save money?